Ok - so I know everyone isn't the big fan of Pinterest, but hey - every now and then, wifey shows me something that is actually pretty cool - and consider this one of them. A nightlight with removable parts? Pretty sweet. Check the specs below, and purchase here. 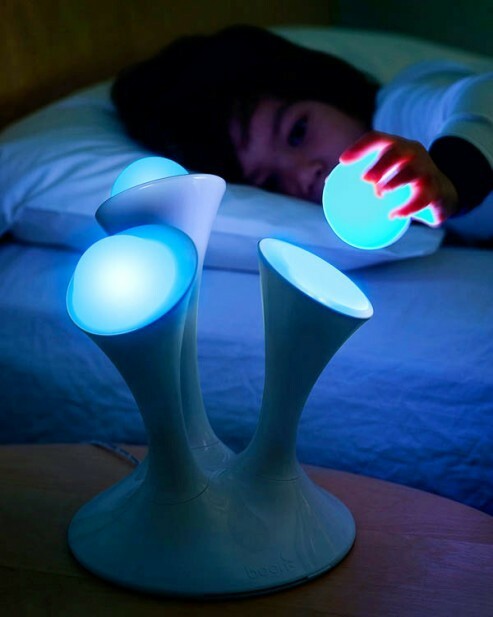 A multi-colored interactive night light that comes with removable glow balls. The Glo Nightlight’s balls will glow for 30 minutes, fading out while changing its color, but if you place the balls back to its place, they will start glowing again. The base is designed to charge the balls and the balls won’t get warm or break. The dimension of Glo Nightlight is 8.2 x 8.5 x 9.8-inch, made of BPA-free, Phthalate-free, PVC-free, you will also find the included 9v power adapter and the low energy LED base. More info here.